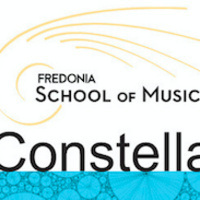 These free welcome concerts in early Spring will display many highlights of the Fredonia School of Music to audition visitors and the community. Each concert reaches across instrumental areas, to offer an hour's worth of high caliber faculty and student performances. These events are curated especially for those students and families who will be in Fredonia for Audition Days, but everyone is welcome and encouraged to attend! A simple reception will follow each concert, with an opportunity to speak with Fredonia music faculty and students.